If you would like to join the challenge next month, see this page for more info. 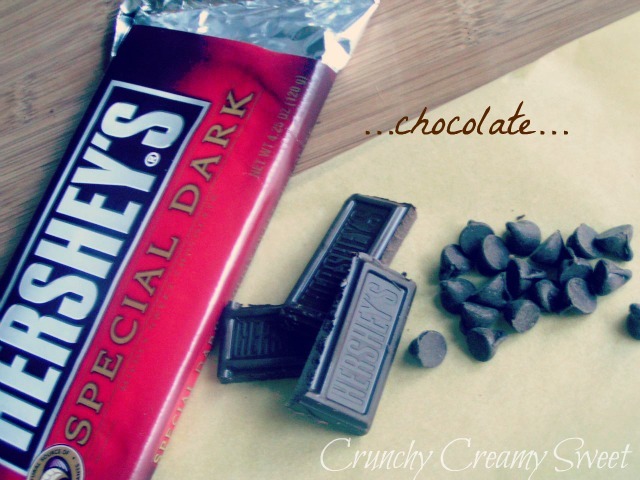 I decided on Hershey’s Special Dark and semi-sweet chocolate chips for two reasons. 1. My Hubby convinced me to try good ol’ American chocolate. 2. I wanted to see if inexpensive ingredients that most of us have on hand would work for this recipe. Well….. they did! You can whip up this dessert with minimal time by the stove ( just to melt the chocolate ) and enjoy this decadent treat in no time! It’s easy and quite against the rules. Why? Because we are mixing chocolate with water and whipping it into a mousse!! If you are at least a little bit interested in baking, you probably know that mixing chocolate with water is a no-no. Well, not it this recipe. The author, Herve This, wrote a book “Molecular Gastronomy”. It’s brilliant and I want it. Prepare ice bath: in a large mixing bowl, place about 10 ice cubes and 2 cups of water. Set a smaller mixing bowl on top of the ice. Set aside. In a medium saucepan, combine chocolate and water and cook over medium heat until chocolate melts. Pour the water chocolate mix into the top bowl and with a whisk or a hand-held electric mixer, whip the chocolate until thick. It can take 3 minutes or up to 7 minutes. Watch it carefully, you do not want to over whip it as it will become grainy. If that happens, place the chocolate back in the saucepan and melt again. Note: The original recipe calls for 9 5/8 oz. of chocolate with 70% cocoa solids. Because I was going to use chocolate chips and chocolate bar combination, I had to increase the amount of chocolate for this mousse. I ended up adding another 3 ounces of chocolate chips. Divide the mousse among serving cups and serve or refrigerate until ready to serve. Remember to click “like” for your favorite entry! Voting ends the next day at midnight. This looks awesome! I have a major sweet tooth and this looks like it is right up my alley. I love mousse. Thanks for sharing. Oh, this is so much fun Anna! I can't wait until next month and hopefully I can find the time to participate. All these mousses are simply divine and I am intrigued by yours, only two ingredients and Hershey's? I am so glad it turned out delicious! And what a great easy dessert. Hope your week is off to a great start! I love mousse. This looks so decadent! Two ingredients and gluten free! How can I not love this? looks so rich. love your presentation. Your chocolate mousse looks to die for! I recently stumbled upon your blog and have nominated you for the Illuminating Blogger Award in my most recent post! To accept visit http://foodstoriesblog.com/illuminating-blogger-award/. I believe I may have a bit of a stomach ache after looking at these delicious mousse selections. I prefer just chocolate, or maybe a mocha. Any which way yours looks just divine using American chocolate. Question though do you think you would have preferred Swiss or German (or some other nationality)instead? hey lovely! i saw you over on kellys page and wanted to say I love your blog! Loving everyone's recipes!! Your chocolate mousse is awesome – 2 ingredients?? Honestly the reason I never make mousse is because I realllyyy don't like going through all the work 🙂 Love how simple yours is! And it looks amazing! Nevermind, I'll post my comment again 😀 Afterall, each mousse looks more delightful than the last. 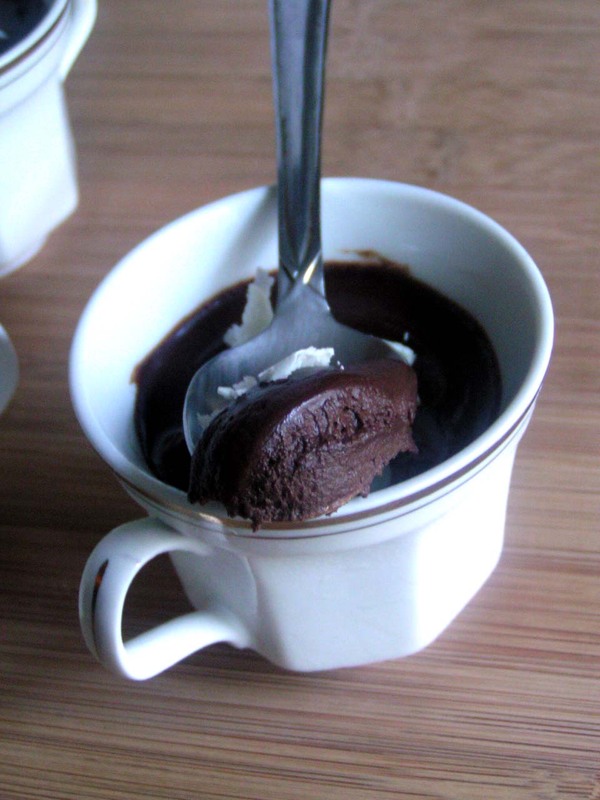 I want to make all of them, mousse being one of my favorite desserts of all time. Anna, I've never made any dessert that quick, that looks absolutely delish.Bookmarking it. I haven't made chocolate mousse in years but it's a good dessert to have in your repertoire, that's for sure! Anna, thanks for hosting the party. Each mousse looks sweeter than the last. Love them!I linked it too…almost didn't….but changed my mind at the end. With hubby working long long hours, it was a perfect way to kill time, and have something sweet to eat as well! I am amazed at how that chocolate mousse turned out! such an easy alternative, and just as delicious 🙂 I can't wait for the next blue ribbon challenge! I would love to participate! I love a good mousse and your one looks absolutely amazing. I so wish I could try some. Anna, your mousse looks amazing. It is a surprise that it took just the water and chocolate to get such a creamy mousse. Thank you for hosting this challenge! Hi Anna, I've just linked up my peanut butter chocolate tofu mousse – a healthier alternative. I love that yours has just chocolate and water and I'm loving all the other mousse recipes. Thanks for hosting and I look forward to seeing what the challenge is next month. Wow… that looks amazing! I am seeing a new dessert in our future. Thanks for visiting me at A Season for All Things. I'm your newest follower and look forward to finding more terrific recipes. They all look amazing! Very hard to “like” just one. I would love to participate in the next one. Looking forward to hearing the theme! Everything looks fabulous! Hope to be able to participate in one of your upcoming challenges! Thank you, Tina! I hope you will too! Thank you for participating, Soni! Fabulous! I have never made a chocolate mousse looking this GOOD! Hi Anna, I think I made a mistake when I attached my link… the picture didn't come through. 🙁 I can't redo it because it's saying it's a duplicate… is there something you can fix on your end. Sorry… I'm terrible with computer stuff sometimes. No worries, sweetie. Let me delete your link and you can try again. Gorgeous! I love the deep dark color you got with the Hersheys. Yum. Thank you for linking up your fabulous mousse, Hannah! I'm a little late to make any mousse to join your event. What is your theme for the next month? Hmmm…. Not sure… Any suggestions? Thank you so much for hosting the Blue Ribbon Challenge. I thought my mousse recipe was easy, but not as easy as yours! 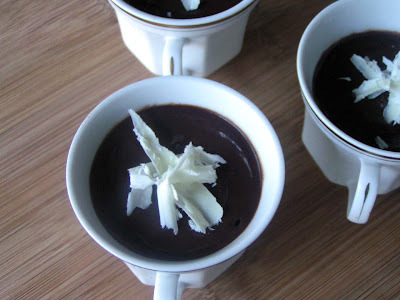 Only two ingredients produces that wonderful, luscious mousse – amazing! Thanks for sharing.